Di Shu, PhD, MSc, is a post-doctoral research fellow in the Department of Population Medicine at Harvard Medical School and Harvard Pilgrim Health Care Institute. She received her MSc in Statistics with specialization in Biostatistics from the University of Western Ontario and her PhD in Statistics from the University of Waterloo. She is interested in the development and applications of suitable biostatistical methods for assessing comparative safety and effectiveness with real-world data which may have complex structures. 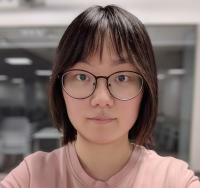 She is conducting her post-doctoral research in the Therapeutics Research and Infectious Disease Epidemiology (TIDE) group under the mentorship of Dr. Darren Toh, with a focus on privacy-preserving methods for distributed data. Sorry. We don't seem to have any publications available at this time.